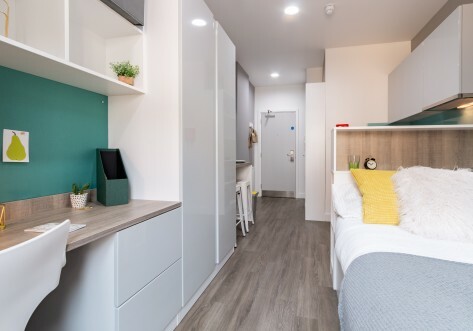 urbanest St. Pancras is a beautiful new property that offers an incredible choice of 305 student beds arranged into self-contained studios, shared duplex flats with en-suite shower rooms and 3 bedroom shared flats. Yet no matter which type of accommodation you choose, all of our super comfortable beds have a high quality memory foam mattress to give you a great night’s sleep and every room has luxurious underfloor heating which is controlled by an individual thermostat in your room to keep you warm in the winter months. Super-fast broadband keeps you connected and the entire building (including all study and social areas) benefits from free Wi-Fi. 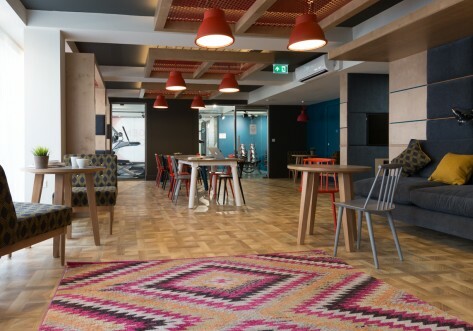 urbanest St Pancras is a short walk from King’s Cross St Pancras Underground Station which give residents access to 6 London underground lines (Circle Line, Hammersmith & City Line, Metropolitan Line, Northern Line, Piccadilly Line and the Victoria Line). St Pancras and King’s Cross rail terminals give easy access to the UK’s national rail network and St Pancras International is home to the Eurostar, providing non-stop train services to mainland Europe. urbanest St Pancras also has a bike store with free to use fold away bikes for all residents. Particularly useful if you want to cycle part of your route and take the London underground for the other half. An entirely self-contained twin room is ideal for sharing with a friend or sibling and has two beds. Twin rooms feature a shared en-suite bathroom, wireless internet, two desks, underfloor heating and galley kitchen with modern appliances. Ideal for an individual or sharing with friends. A private lockable room in a two or three bedroom flat comprising of a shared kitchen with modern appliances such as a ceramic hob, dishwasher, oven and a microwave. Each flat comes with underfloor heating as well as luxury shower room(s). 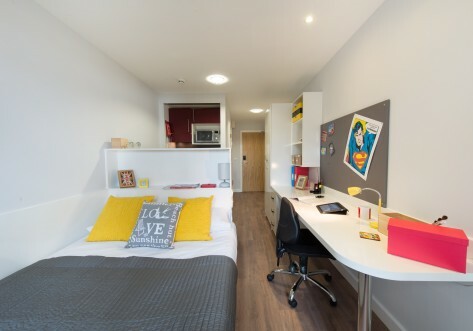 Ideal for individuals or a group of friends, urbanest offers en-suite rooms with a large shared kitchen and dining room in every flat. Like all urbanest rooms, the kitchen is finished to the highest standard with stainless steel appliances. Each en-suite has its own private shower room and the kitchen and dining area is shared between 5-12 people. Our studio room is an entirely self contained flat suitable for single occupancy or as a couple. urbanest studios always have the highest quality finishes and modern kitchens. Studio rooms also contain a luxury en-suite toilet and shower room. 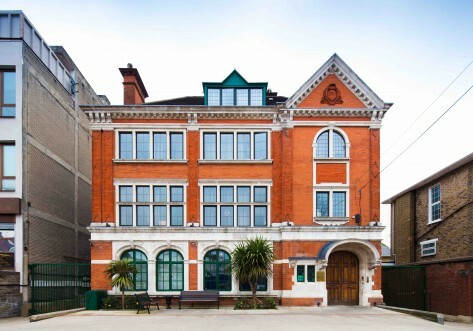 We have a select number of exclusive rooms and rates to those attending SOAS or Regent's University, please get in touch to book.